The Dow logo is seen on a building in downtown Midland, Michigan, May 14, 2015. 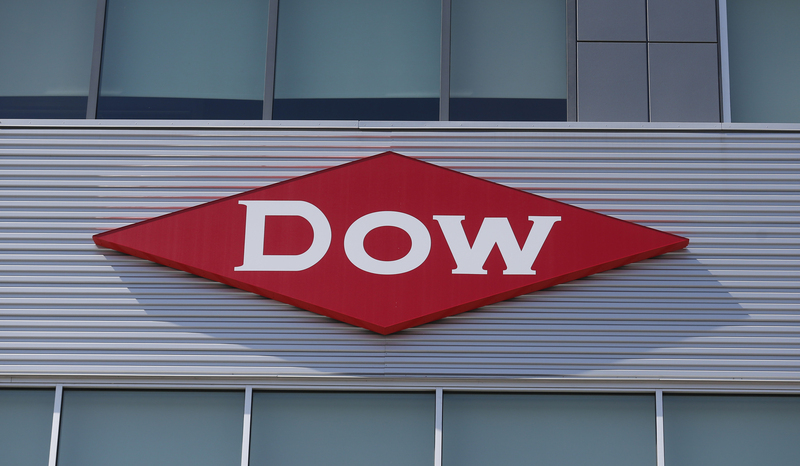 DowDuPont is set to report third-quarter earnings on Nov. 1. On Oct. 18 the company said it would take a non-cash impairment charge of $4.6 billion on its agriculture business. The company also reiterated its fiscal 2018 guidance for the division, which includes flat net sales and a mid-single-digit increase to its operating EBITDA.